Anyone with short hair understands how tricky it can be to style other than leaving it out. 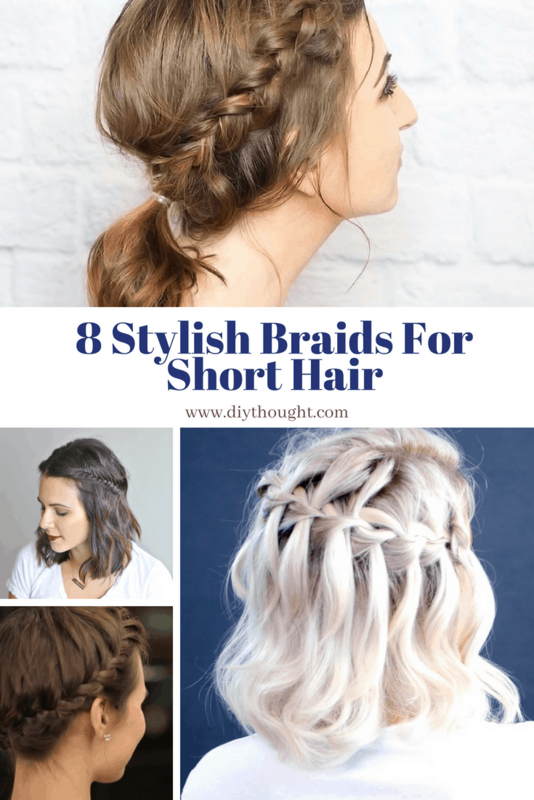 These 8 stylish braids for short hair are fab for days when your hair is calling out for a change. These braids are perfect to cover up a bad hair day or second, or third-day hair. If you are a bit average at braiding (me!) 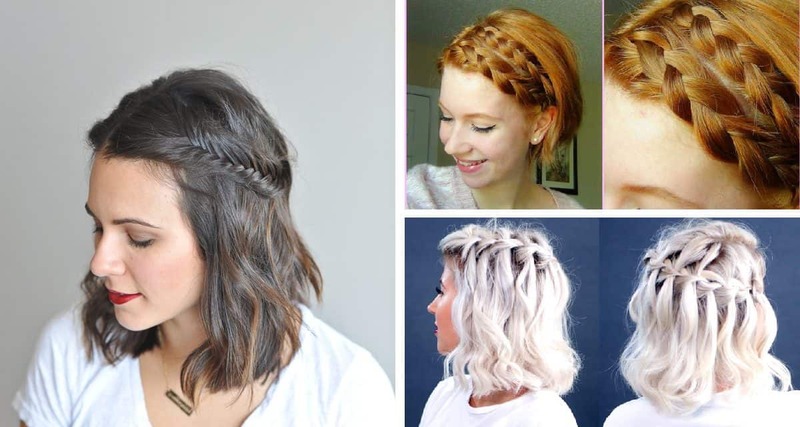 then have no fear these 8 stylish braids for short hair all have easy tutorials to follow! 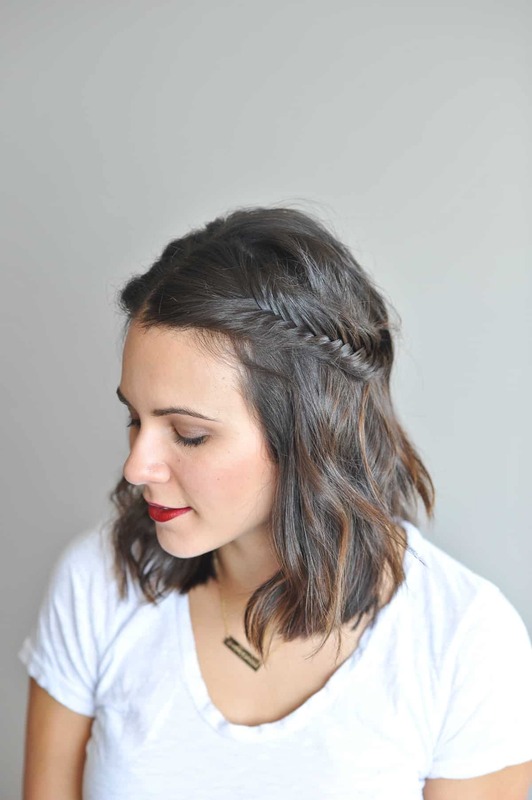 ﻿ This double dutch braid is an easy way to add fun to your hairstyle. 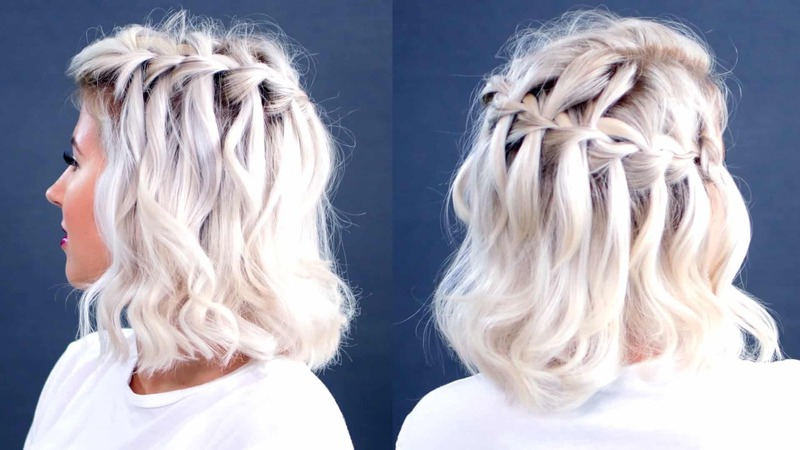 This braid works well on most lengths of hair. Link to Youtube channel here. 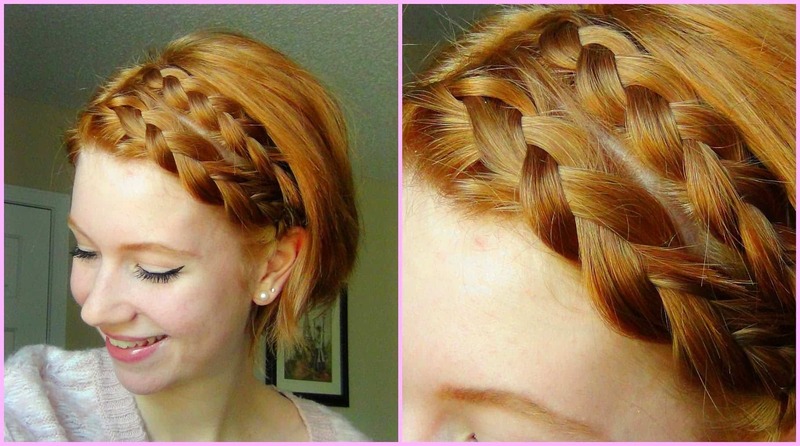 The waterfall braid is ultra pretty and very easy to do! Link to Youtube channel here. Try a fishtail braid for a twist on a half up braided look. Click here to read more about this look. 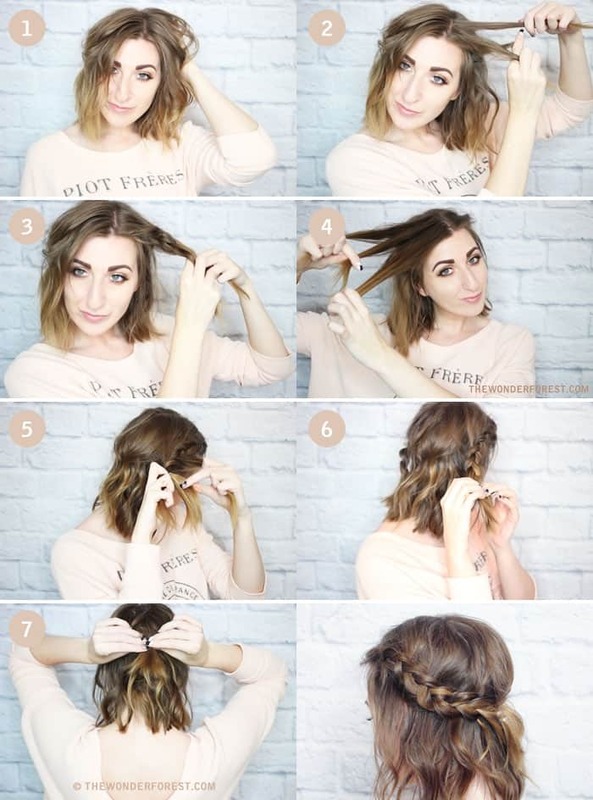 We absolutely love this half-crown braid which was featured on our 12 Fabulous Short Hair Updo Tutorial’s article. This is the perfect short-hair updo for a night out! Head over to Hair Romance to read the full tutorial. The French pull through is great for dirty fine hair as it gives the impression way more hair than what is actually there. Follow this link to find out more. 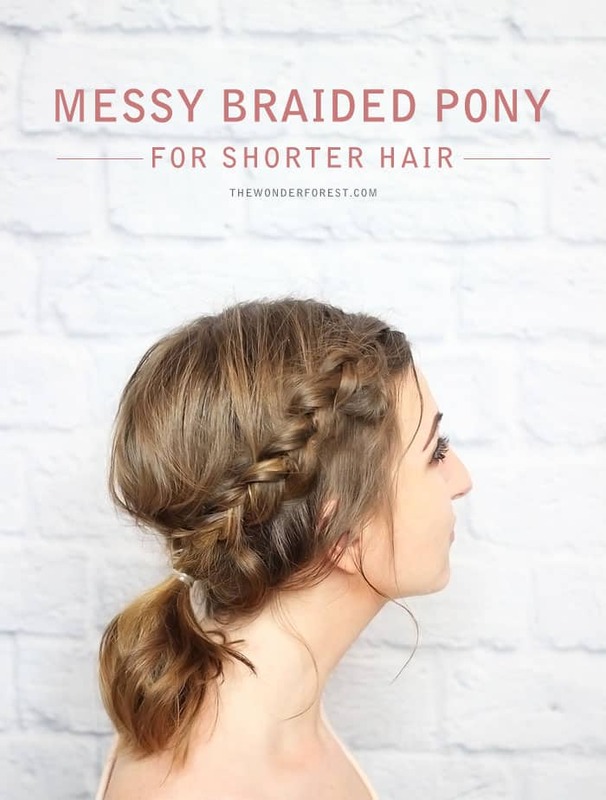 The messy braided pony very similar to the half braided crown (number 4) but finishes as an adorable pony. Click here to read the full tutorial. The halo braid is a beautiful updo which will look amazing for a night out and should last for a couple of days. Source found here.